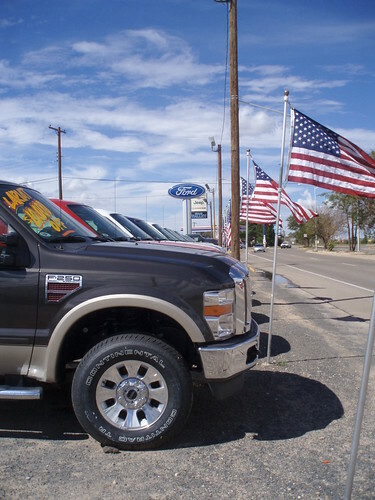 Ford dealership in Portales, New Mexico. Across the street are the cars, and used vehicles. Today in America it was a holiday... Labor Day, when most working people all get the day off. Usually there are lots of sales, and it's the end of summer in many places. In other parts of the country, school starts the day after Labor Day, but here in New Mexico, most schools start in the middle of August.